Signs add character to your building and complement a school’s brand. 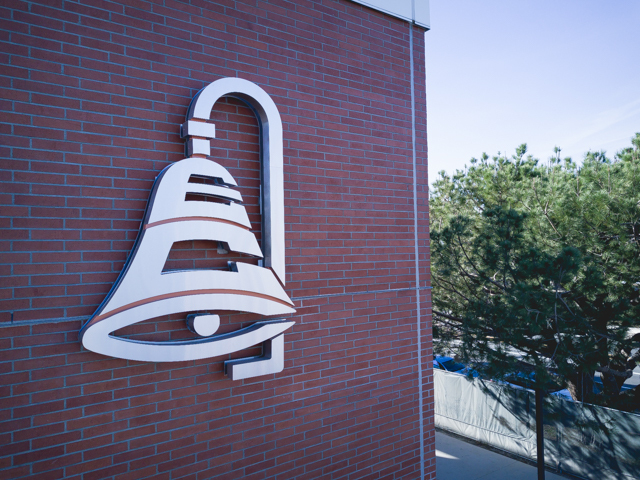 One of our favorite signs is the famed El Camino College bell we brought to life for one of the school’s buildings. This project was exciting, as there was some history to it! The college’s logo is the bell because it represents the El Camino Real. The symbol is known to be a tribute to California’s first road. A citadel is known as a fortress, so creating a look that matched this palace-like structure in the City of Commerce was a fun challenge. Curcio offers graphics programs to ensure your sign not only serves its function but also looks good to match your building or business. If your building makes a statement, then your signs should do the same to catch attention. This project also has some historic roots, as Adolph Schleicher envisioned the mall to be as grand as the palace built for King Sargon II of Assyria. We created signs that incorporated the Citadel’s logo and matched colors to accompany the royal look. When designing these types of signs, it is crucial to consider if drivers can see them from far distances. They need to know where to go so they quickly park and begin shopping. Numbers make it easy for people to find where they parked, and they also clearly identify other areas of the parking structure. 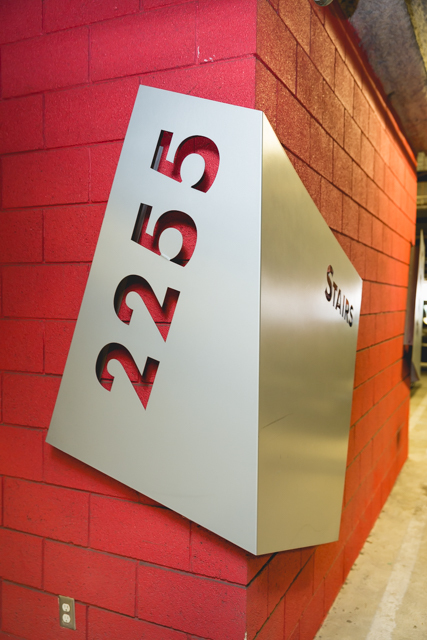 This sign we designed for Media Studios North does just that by noting where the stairs are located. Our team has also created other types of signage that direct drivers and pedestrians toward electric charging stations, elevators, and more. We have worked with cities like Old Pasadena to make navigating through traffic and the city easier for drivers and pedestrians. 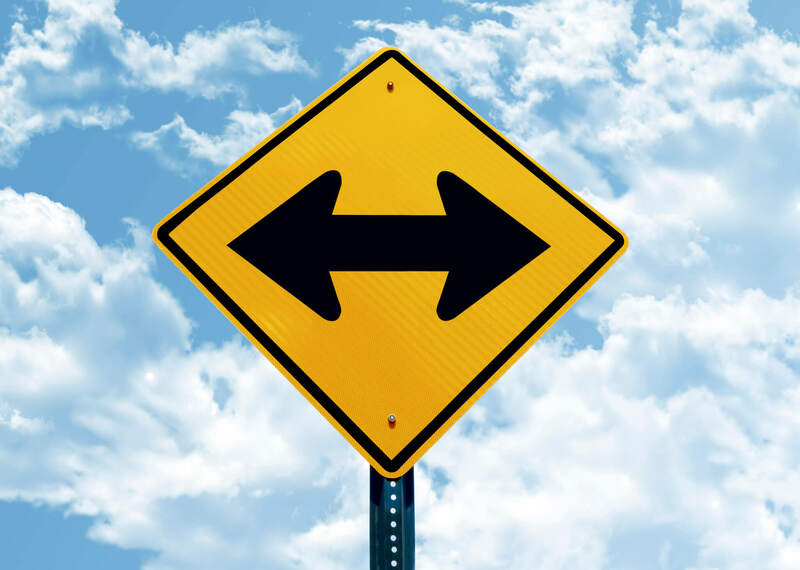 Signs should be easy for people to glance at when they are on the road, and they should know where to go within a matter of seconds. This sign in particular also increases visibility at night with its lighting features. 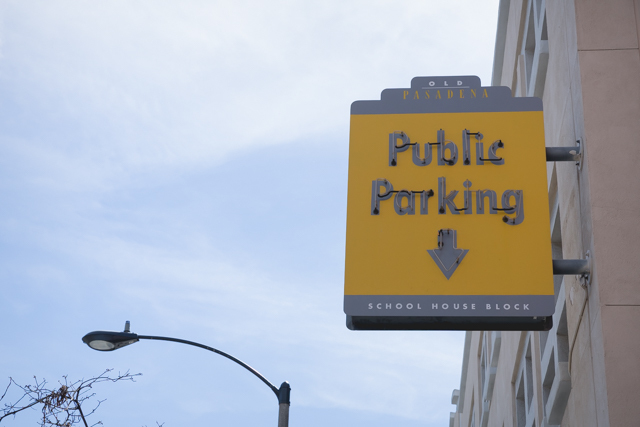 Does your parking lot or facility need proper—and custom—signage? Contact Curcio Enterprises, Inc. to keep your parking lot running smoothly and looking its best year-round. 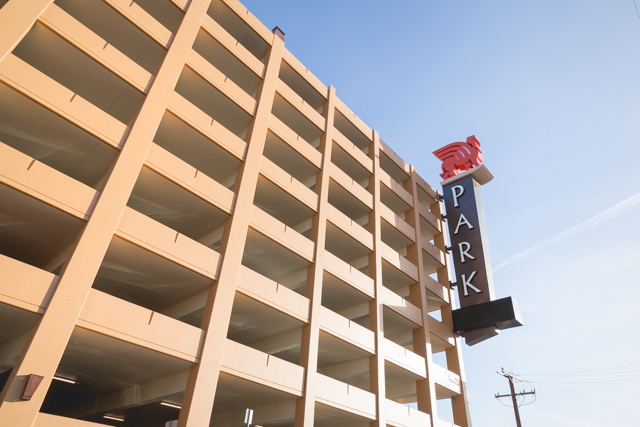 We are a dependable, licensed, and insurance business that has been serving the parking industry since 1975.